Welcome to Cops & Robbers on the Battlefield - Woot! 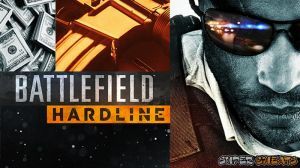 The Battlefield series has long held to a military-focused theme and story line that has helped to establish it as one of the core and most popular military shooter series in the modern game library - but with the introduction of Hardline, the series takes a new direction. That is actually a bigger deal than you might think because while the focus shifted away from the traditional military story, the action elements remain pretty static in terms of weapons, tactics, and focus! In Hardline the War on War has been replaced with the War on Crime - and police Special Response Units and criminals have replaced the allied and enemy military units - but in a more TV-focused way. We will get to that in a moment. Ironically and largely thanks to the move by police departments large and small all over the country to reshape their departments into more military-like structures both in appearance, kit, and tactics, the big difference here lies almost exclusively on the basic desires of the units in play - which is to arrest rather than kill the enemy. Or at least that is what we hope their intentions are! No, seriously, you score more points for slapping the cuffs on and taking the bad guy into custody than you do in fragging them. Just saying. The game engine from Battlefield 4 has been upgraded, stroked, and creates the engine for Hardline - a development that can only be a good thing since it includes the many different environmental effects tech that was introduced in B4. The game story is set in Miami, and its protagonists are a newly-minted Miami Metro Detective named Nick Mendoza, and his partner, Detective Khai Minh Dao, a veteran of the force. While they are both usually by-the-book investigators, the impact that the drug abuse epidemic is causing on both sides of the law has slowly effected their perspective - and they are both reacting to having been influenced by the negative effects. Call this an Arsenal for the Law - and Peace! There are risks when a game with so long and strong a history takes a chance like this. The possibility of a failure to deliver both structure and depth is the reason why very few popular game series developers will take this sort of a risk. Happily the wizards behind the Battlefield games opted to take that risk. The results in Hardline are a game that not only delivers the same -- if not deeper -- intensity in terms of the story, characters, and premise, but it also introduces a pair of likeable characters in the protagonists who resonate well with the players without the developer having to spoon-feed the relationship. The irony in finding such an immersive pair carrying the tin shields of Miami Vice detectives is not lost on most players. In this modern age in which law enforcement is not only viewed by most citizens as potentially a threat to their liberty, it is also an age in which law enforcement has come to view all citizens with a measure of suspicion that tends to place them at least potentially as being an automatic part of the criminal element in society. The general consensus of the average citizen is that you do not have to be guilty of a crime to end up arrested, largely because the police have stopped serving as peace officers, taking on a less flexible role as law enforcement officers. The modern law enforcement community functions in an environment in which there is no longer any presumption of innocence. In fact the police no longer concern themselves with issues such as guilt or innocence, preferring to place the burden of determining that as part of the narrative that is controlled by the courts. Vehicles make a major return to the Battlefield - to much Rejoicing! Fortunately for players the game offers a level of play that is very similar to the previous games in the series, and while the criminals tend to be very predictable as long as the player themselves stays on top of the situation, when the player makes a mistake the criminal element can - and will - kick your ***. Oddly the primary game play and story mode invests a measure of power in the shield carried by police that is more inline with the way that the police in our society would LIKE to believe it holds, but in reality that power is way over-blown and unrealistic. Put it this way - if you are a cop and you hold up your badge and say freeze quick enough the bad guy does just that, and passively allows themselves to be arrested - a type of behavior that we know - we KNOW - is not vested in reality. Because they always run mates, always. Except when they don't. But here, they mostly don't. That said, we think you will find that the game has everything you will want to find in a game in which you play the good guy, hunting down the bad guys, and the points system leans heavily towards the bed guy having their day in court. Add in a much more robust focus on vehicles that is totally in-synch with the tradition of the Battlefield series and there really is nothing to find wanting there. 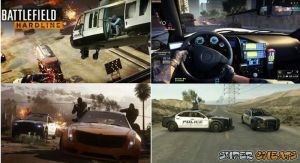 Battlefield Hardline is a first-person shooter developed by Visceral Games in collaboration with EA Digital Illusions CE, and is published by Electronic Arts. 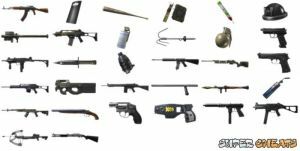 It includes versions for Microsoft Windows, PlayStation 3, PlayStation 4, Xbox 360, and Xbox One. No discussions open for Battlefield Hardline at the moment.